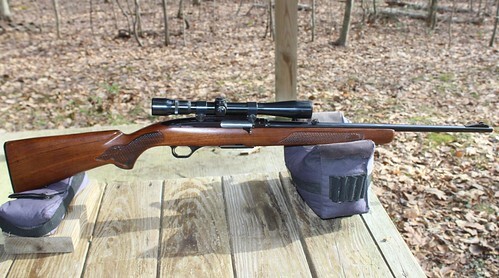 We just recently traded for a Winchester model 100 in 308. It hadn't been shot for a while so the videos posted here for disassembly were very helpful. Overall I think it has been well cared for and in good condition. After cleaning and lubricating,we took it to our range to try it out. I took a chance that the scope was not too far out and just started at 100 yards. The first shot just clipped the top of the target. We took it down 16 clicks and shot 3 rounds to check cycling and see if it would group. The three shots grouped at 1 13/16" and I was happy with that. Since the gun still has what I believed was the old style firing pin, we stopped at that. 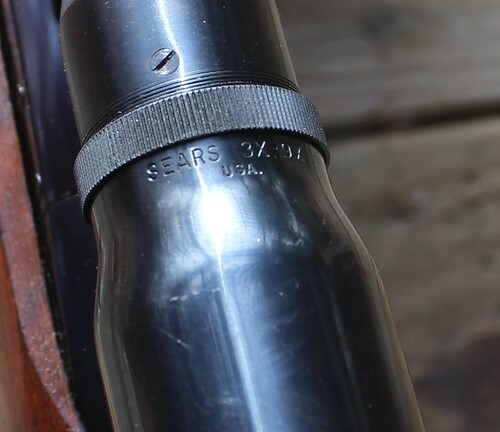 The scope that was on the gun was also interesting, Sears made in USA 3X9. It looks like it was made by Weaver. After cleaning the optics were clear and it seems to work okay. Being period correct also makes it interesting. One last thing, a thank you to Winchester. 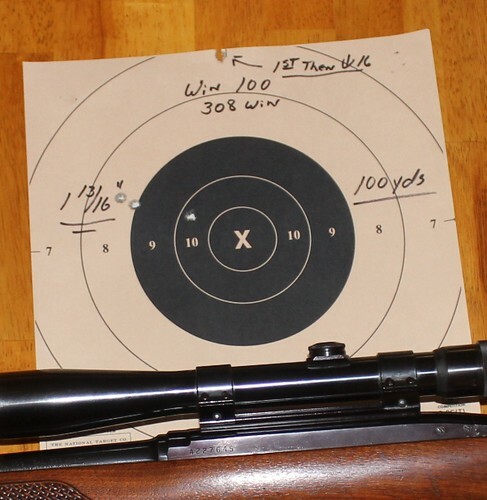 I called the Winchester number for the firing pin replacement on 12/19/18. There was no automated answering, the phone rang and a real person answered. She informed me that the model 100 firing pin replacement program is still active. I gave her the serial number and she said it shown as the pin had never been replaced. 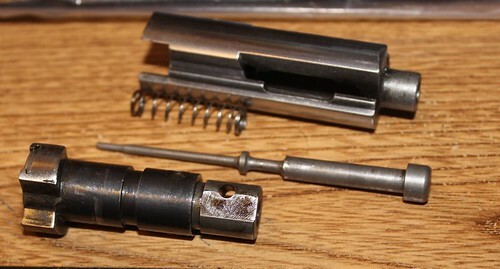 We had to return the old firing pin and a new one will be sent. I sent it today and I will let you all know when the replacement arrives. Below is a picture of the old style pin in case it helps someone else. We are very happy so far. Nice rifle. You did good with cleaning and lube and firing pin replacement. I have been with Winchester firearms a long time. They have never let me down with customer service. The replacement firing pin arrived on 1/11/19. My understanding is that is slower than normal as they were closed over the holidays. In any case, the firing pin is installed and when things slow down some, we hope to get to the range. I will post the results.